Manolo Blahnik napa leather sandal. "Estro" is made in Italy. 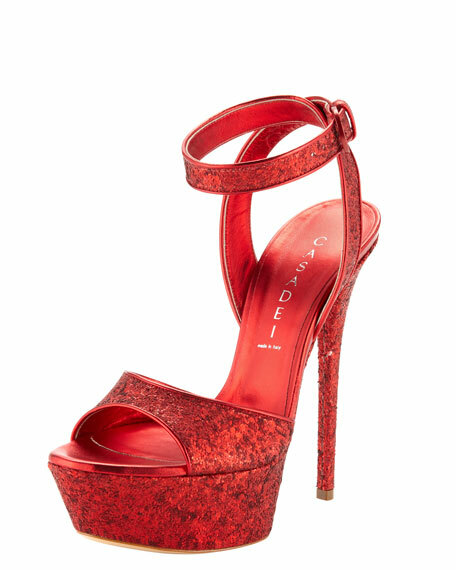 For in-store inquiries, use sku #2466787. 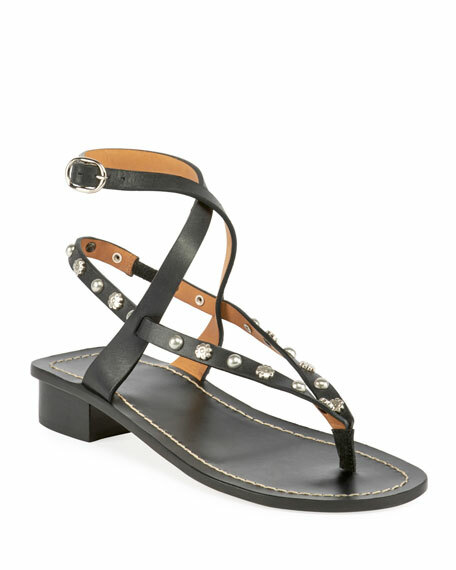 Isabel Marant "Jings" sandal in calf leather with floral/dome-shaped studs. 1.5" stacked block heel. 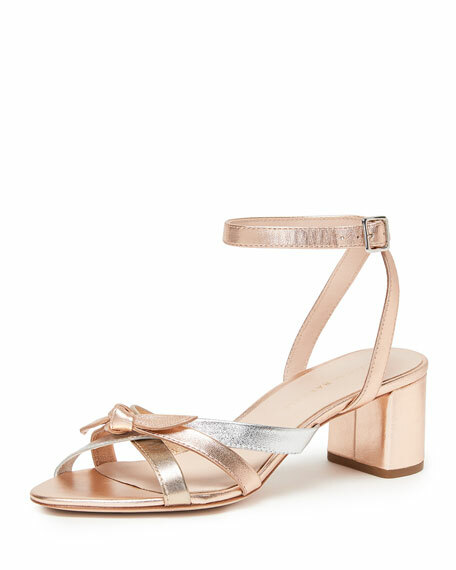 Thong strap extends to elastic slingback. Crisscross ankle wrap with adjustable buckle. Made in Portugal.